Inspiration can come from anywhere. Nearly every design challenge begins with some exploration and search for inspiration. 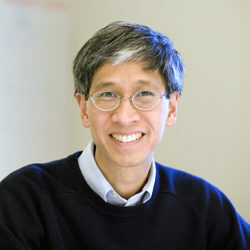 Today Arlen Li shares about where he finds inspiration. Throughout his career at Payette, Arlen has been involved in the planning and design of numerous academic and research facilities for leading institutions of higher education. What inspires me about architecture is the potential of a physical structure to become part of the fabric and story of its place. Iconic buildings, to me, are inseparable from the idea of purpose. All buildings are created for a purpose; some are able to convey their purpose well and a few go beyond purpose and become established as literally the essence of their building type. 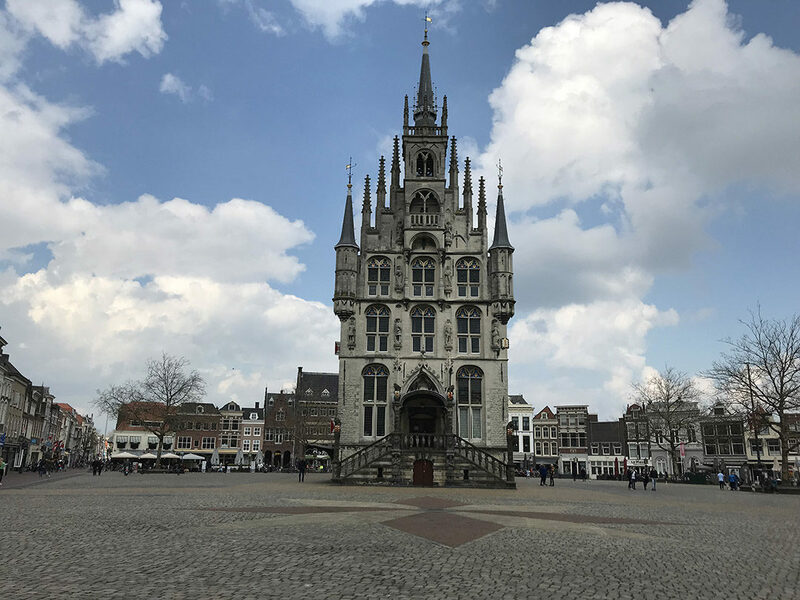 The photo below is a town hall in one of the oldest cities in Holland, sitting in the place of prominence on the town square. 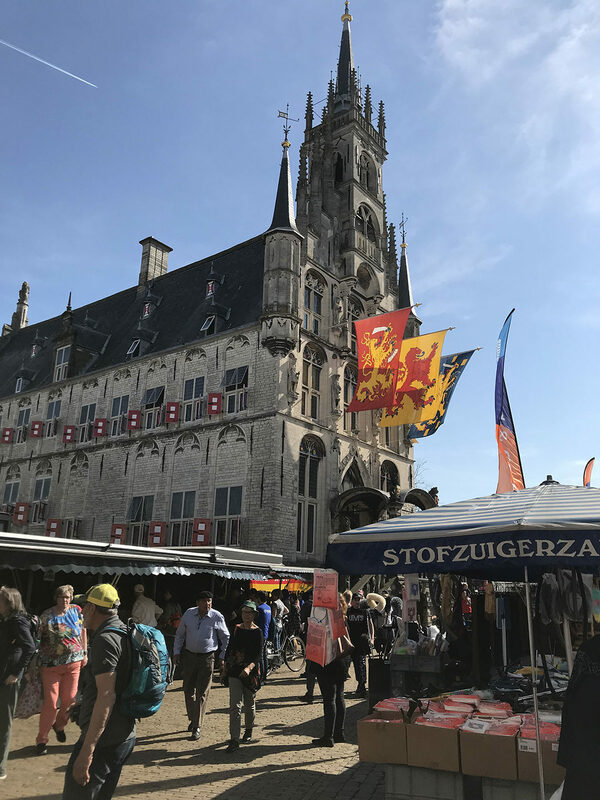 While it is an impressive structure by itself and has stood there since the 1400s, its meaning as a civic center has developed from the centuries of residents identifying it as their historic symbol. Placed on an isolated plaza with no surrounding context, the building would simply be, albeit grand, an historic artifact. The photo below is the real story. The square is transformed into a marketplace and the building, as vital as ever today, is used for weddings as well as civic events, providing an anchor for the community. In the same way, we have the potential to design buildings that create the beginning of a story for a particular client and institution. We can imbue that start with high design for technology, high performance for sustainable and efficient functionality. But we must recognize that the rest of the story will crystallize over the coming decades and will hopefully become the source of inspiration for the next generations.